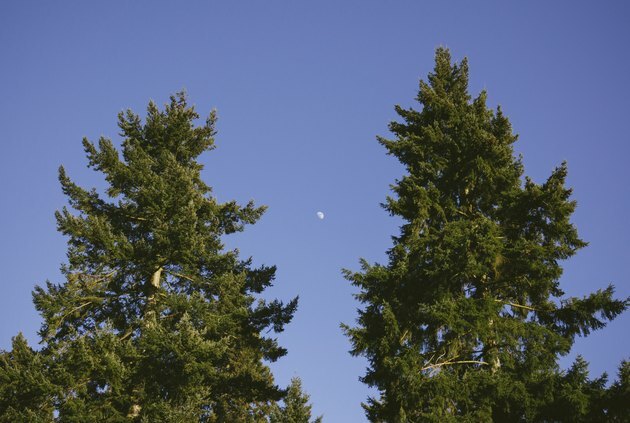 What Is the Difference Between Fir & Pine Trees? 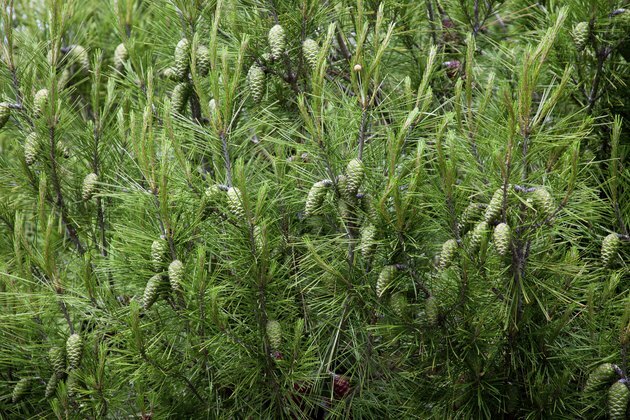 Similar in general form, basic differences exist between fir and pine trees, including botanical name, native ranges, and cone shape. Foliage characteristics are the best way to differentiate the two, focusing on needle clusters and lengths. Pine trees have needle clusters and scaled, plate-like bark. 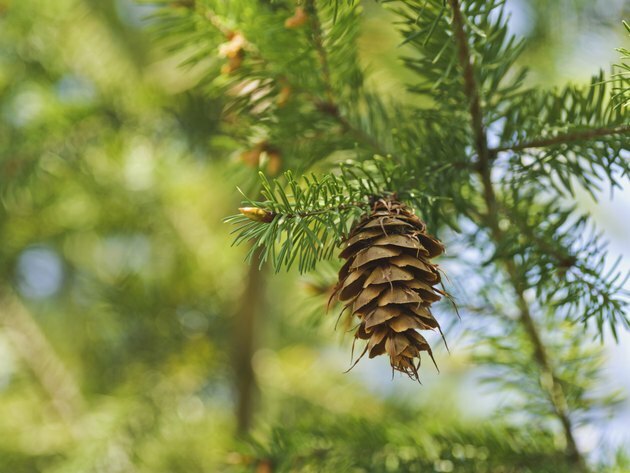 Although both fir and pine trees are conifers, bearing cones, and members of the same plant family, Pinaceae, their plant group names are different. Fir trees are members of the genus Abies; whereas pine trees belong to Pinus. 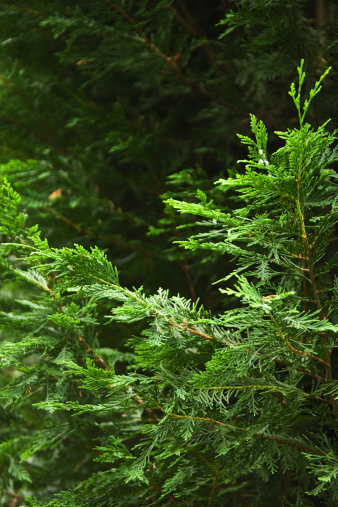 Some of the differences mentioned here are reasons why these two conifers are given different classification. Pines can be trees or shrubs. Fir species number about 50, all native to very cold or mountainous regions in the Northern Hemisphere, and grow best in similar climates. They are regarded as trees. Pine species are much more numerous, about 120, and native to many forest types in the Northern Hemisphere, from cold regions to the subtropics. Pines can be trees or shrubs. Fir trees have relatively short needles, almost always less than 2 inches in length and occur singly on the stem in great numbers. The needle is soft to the touch, flattened with two sides, usually with two white stripes on each needle's underside. The tip of the needle has a notch. 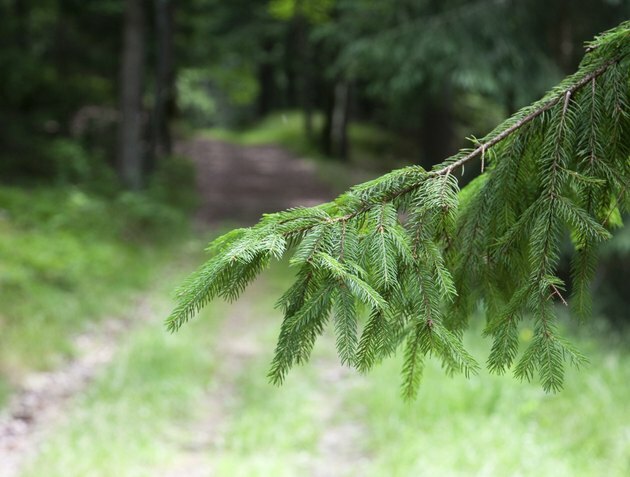 Pine trees have needles that are in clusters, from 2 to 8, very rarely only one per bundle. The needles are glossy, soft, thin and thread-like, with a length from just less than 1 inch to as long as 12 to 16 inches, depending on species. Firs grow with a consistently tall, upright triangular form--a classic pointed tree that is wider at the lower branches. Bark, often hidden by the branches and needles, is smooth but corky. Pine trees are also upright, but have more of an open, rounded canopy of foliage, sometimes loosely triangular but irregular, or looking like a jagged lollipop at maturity. Bark is usually cracked, with plate-like scales with a darker color under them. This ripe female cone from a pine has already opened to shed its winged seeds. Fir cones, the fertile female ones, are produced only on uppermost branches, are held upright and are shaped liked eggs. They are purplish blue-green in color, ripening to a golden medium brown at the end of the growing season. Male cones are pendent and occur all over the tree in late spring. They fall off after they release their pollen. 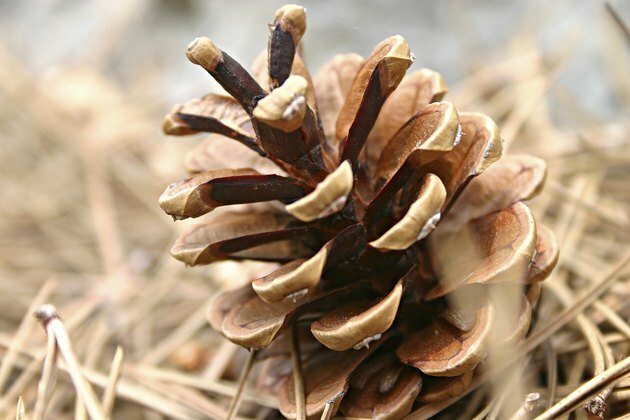 Pine cones, the seed-producing female kinds, are seen at branch tips and point downward or horizontally. First green, they become reddish brown to black, splitting open to release winged seeds. The female cone takes 2 to 3 years to fully ripen and open on the tree. Male pine cones are small and appear at the base of needle clusters, and shed their yellow pollen in spring before falling away. 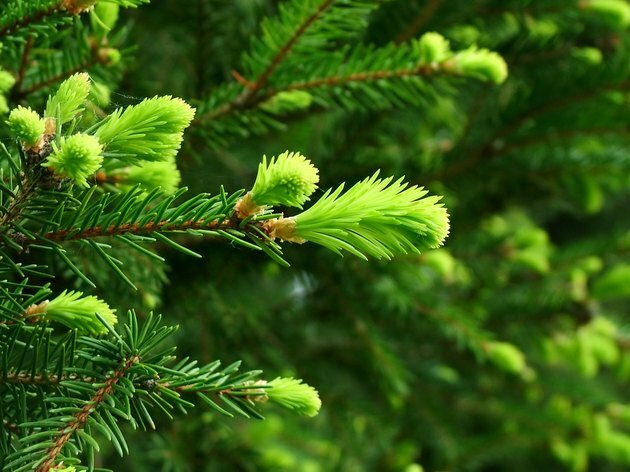 What Is the Difference Between Douglas Fir & Frasier Fir Trees? What Do Pine Tree Seeds Look Like?